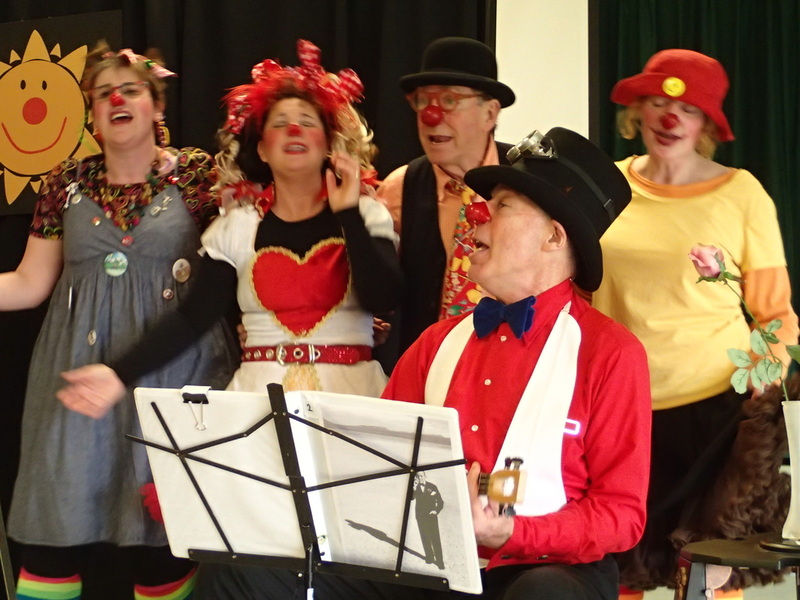 "What a treat when the Sunshine Clown Band performed for friends and members of the Friends of Music Society at the Eric Martin theatre! Singing along from the audience or joining the clowns on stage gave everyone a chance to take part in the fun. It was a delightful event!" - Linda Sproule-Jones, Friends of Music Society.